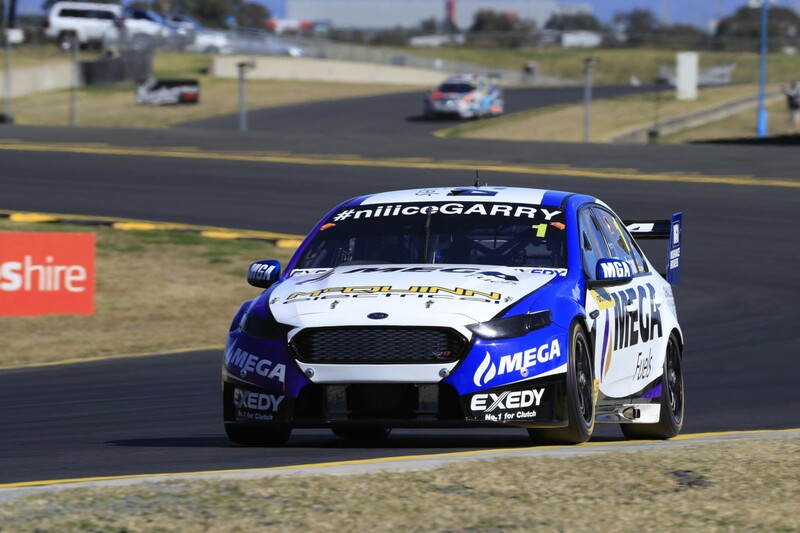 Reigning Dunlop Super2 Series winner Garry Jacobson was quickest in opening practice for the second-tier class at the Red Rooster Sydney SuperSprint. The 40-minute session was the first Dunlop Super2 running at the Western Sydney venue since 2005. The #1 Prodrive Ford topped the timesheets with a 1.32.65076s set in the closing moments. Veteran Paul Dumbrell led the Super2 practice followed by debutant Richie Stanaway for the majority of the going. The Eggleston driver ended up third behind Paul Morris Motorsports' Anton De Pasquale, who went to the top of the timesheets with less than a minute remaining before being outdone by Jacobson. Brad Jones Racing’s Jack Smith also improved late to finish fourth and of team-mate Andrew Jones and Prodrive's Stanaway, who was 0.7958s off the lead. De Pasquale, Le Brocq and Chahda were pinged for kerb hopping numerous times throughout the session. Gracie stopped at turn eight with only a minute left in the session with suspected engine difficulties. In a horror session for the Dragon squad, team-mate Jack Perkins had also pitted with engine trouble in the early stages. The Dunlop Super2 field will be back on-track this afternoon at 12:20pm for ARMOR ALL Qualifying.